#Hashtags- they are everywhere. You see them all over social media and the web. From Facebook to Twitter, hashtags are an integral part of the social media landscape. A hashtag is a social media tagging system that organizes content by creating a link that makes it easier to find and follow a conversation about that topic by adding the “#” symbol in front of the topic without any spacing. Hashtags play a significant role in social media marketing, therefore you have to use hashtagging strategically, as it can very well differentiate a successful social media campaign from just an average one. So do you really need to use Hashtags? Well, we highly recommend that you do. With hashtags, your overall social media traffic can be significantly improved. Hashtags should be used across various social media platforms as this will provide more channels for your audience to engage with you. The goal of our #HashtagBestPractices 2-part series is to share useful hashtag tips for your different social media platforms in order to help you maximize your social media posts’ potential reach and engagement. After discussing how to master the art of twitter hashtags in our first post (“Increase your Online Engagement with Hashtags”), in this second installation, we will share 4 Facebook hashtag tips that will make a positive difference for your Facebook posts. The integration of social media platforms into businesses’ marketing plans resulted in the increased usage of hashtags on Facebook. Hashtags direct readers to a feed of public and private posts from your friends on Facebook when they click on it, thus making posts with hashtags more accessible and easy to find on Facebook. If you are currently using hashtags in other social media campaigns, start using these hashtags in your Facebook content as well. Consistent branding across your different social media platforms is important for businesses. Users may own several social media accounts and may follow your brand on various social media platforms. Therefore, you should use consistent hashtags as a form of branding to keep your messages unified. This is especially useful for promotions across social media platforms and will encourage your audience to use hashtags regardless of what social network they are using, which in turn, will allow you to successfully get your message across your various social media platforms. Read our #socialmediatips to improve your #employeeadvocacy programs’ performance. Isn’t it easier to read the latter post? This effect is even more amplified when you inject a lot of hashtags into a long Facebook post. It is a good idea to ride on popular hashtags as this could potentially improve your brand’s reach and visibility to your audience. However you should do your due diligence first, otherwise you might end up finding yourself in an embarrassing situation. This can happen when you use an existing hashtag that does not align with your brand’s business and message because it was already used for a totally different purpose or from a competitor. Your business should not only look into existing hashtags used on Facebook, but also other social media platforms as well. You should check that your prospective hashtags are not already being used. With that being said, if a hashtag has been used minimally, do not rule it out immediately. There may still be a chance for your company to “own” the hashtag as a branding tool. Ensure that your hashtags are relatively short, easy to use, and understandable, especially when you want to brand your own hashtags. You will get poor traction if your hashtag is too long and complex or difficult to read. Readers may find abbreviations confusing, especially the first time they are exposed to them. If you are using abbreviations in your hashtags, make sure the point you are trying to get across is clear. For example, a hashtag such as #LDAGDT would not resonate with many people in comparison to #YOLO or #TGIF. Lastly, do not forget to take into consideration your social media posts’ goals when using hashtags. Adopt keywords that are relevant to your business and target audiences when creating your hashtags. Social media is filled with an abundance of content, and hashtags are a good way to distinguish yourself from other pieces of content as well as increase your online presence. Some of the tips from the first installment of this blog series are applicable for Facebook hashtags as well. Apart from widening your reach, hashtags allow for a new form of communication and social monitoring. Hashtags make it easier to both identify what others are sharing and saying about a topic and discover connections and content like never before. Overall, hashtags are powerful tools that businesses should use strategically to reap the most benefits from their social media posts. 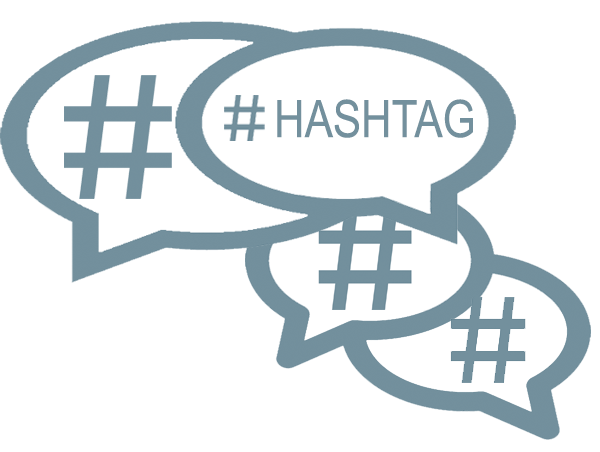 Increase Your Online Presence with Hashtags -- #Hashtags- they are everywhere. You see them all over social media and the web. From Facebook to Twitter, hashtags are an integral part of the social media landscape. Why do Presidential Candidates Overlook LinkedIn ?